Many of Bowland’s beautiful old trees are nearing the end of their lives and in order to safeguard the unique character of the Bowland landscape, Champion Bowland and the Forest of Bowland AONB Partnership are acting now to ensure successor trees are ready. These 'Landmark Trees' could be found in hedgerows, parkland, farmland or on a village green and may be native and non-native species. Wherever they are, they are important to people as well as to the landscape and provide a living link to the 'forest' of Bowland in the AONB's name. 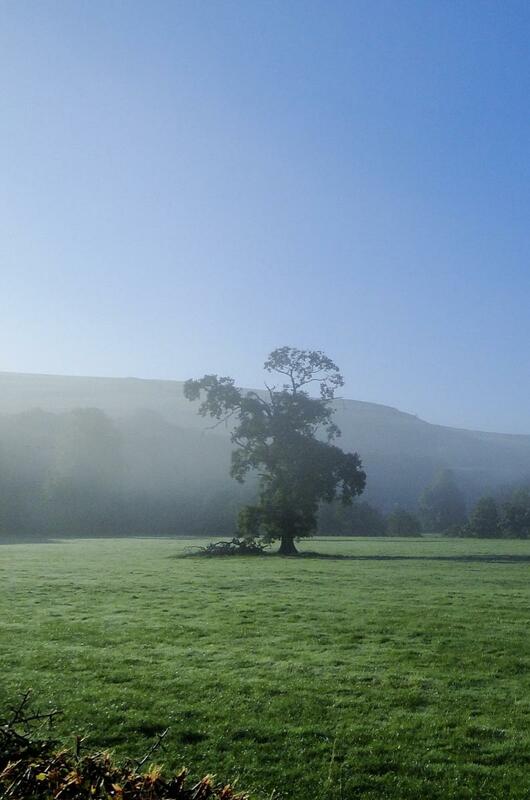 Champion Bowland is looking for help from the public and corporate sponsors to identify suitable trees and plan for replacements to be established before their predecessors succumb to old age. Participating businesses can nominate Landmark Trees in their neighbourhood and also opt to plant and safeguard new trees. We’re also asking local people to nominate prominent trees that are important to them and inviting local businesses to donate the funds to plant their successors. By supporting this scheme, sponsors are making an investment that will pay dividends for decades to come. Bowland AONB development and funding officer Robin Gray explained the thinking behind the scheme: “Veteran trees are an essential element of the ancient Forest of Bowland. Often centuries old, these venerable old oaks, beeches, sycamores and ashes are as rooted in the landscape as the fells and the rivers that flow between them. "It's been great working with Downham Estate and the Assheton Arms and we're also very grateful for support from Ribble Valley Borough Council in helping to get this first project off the ground." The Seafood Pub Company – owners of the Assheton Arms in Downham – was the first official sponsor of the Landmark Trees initiative. The company contributed to the planting of a field maple in the centre of the village to replace a wonderful old beech tree in the grounds of Downham Hall, which was lost in the ‘Beast from the East’ storm last year. Managing director of the Seafood Pub Company, Jocelyn Neve, said: “It’s wonderful to be the launch sponsor of Champion Bowland’s Landmark Trees initiative. At the Seafood Pub Company, we’ve always believed in investing for the long term and when it comes to preserving the natural environment, we are proud to be planting the next generation of the Forest of Bowland’s Landmark Trees. 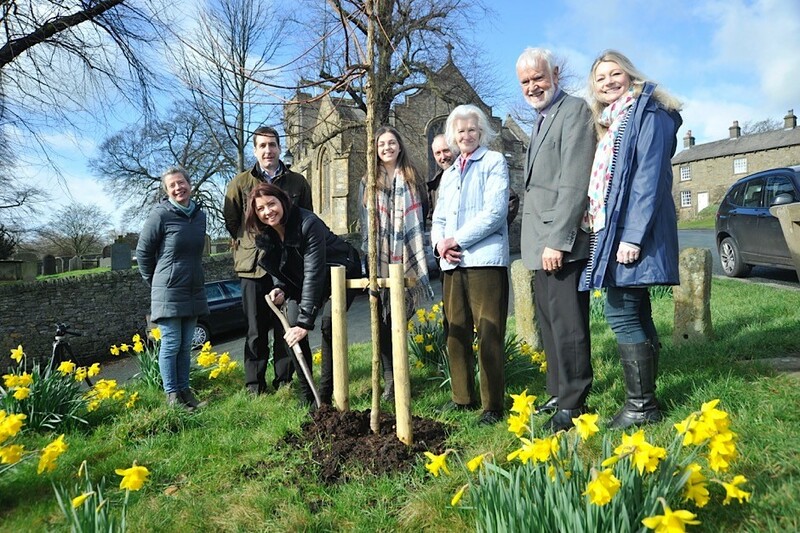 Lord and Lady Clitheroe joined members of Champion Bowland to plant a tree in the centre of Downham to launch Champion Bowland's Landmark Trees initiative. If you would like to nominate a prominent tree in your area for the Landmark Trees initiative, please contact Sandra Silk at the Forest of Bowland AONB Office on 01200 448000. Potential sponsors can also get in touch with Sandra for an informal chat about the scheme.